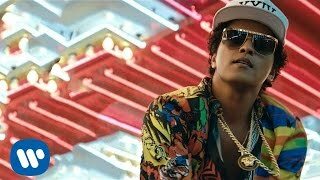 If you aren't ready to party then you're officially not ready to press play on this new music video from Bruno Mars. '24K Magic' is taken from an album of the same name AND is the first track since Bruno's worldwide best selling album 'Uptown Special'. Download Bruno Mars' '24K Magic' now. '24k Magic' was the highest new entry on the 9th October 2016 countdown where James Arthur secured a whole month at No.1.